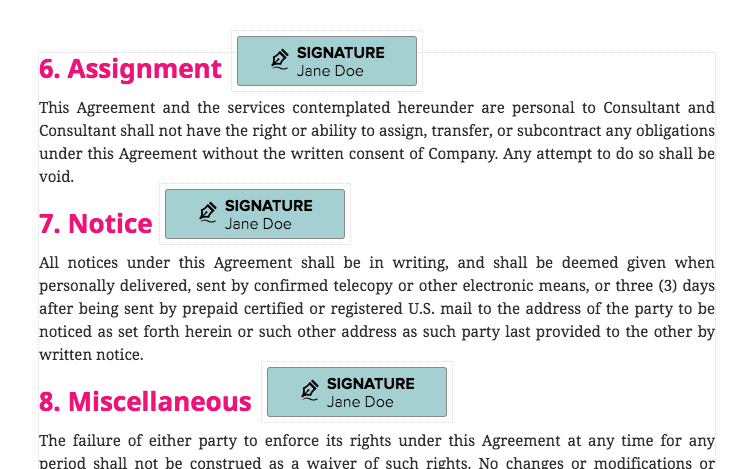 A quick guide to adding and editing signature boxes in your proposal and template. You've created your proposal, now all you need to do is make a place for your client to seal the deal. 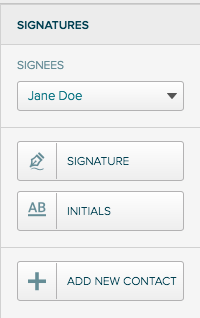 Proposify allows you to add legally binding signatures to your proposal, including initials. NOTE: If you're working from a template, then you will have two options: the proposal lead and the main client contact. Initials will only require the signatory to provide the first letters of their first and last name, while signatures will require your clients to sign with their full name. 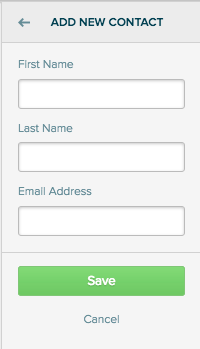 You can add a signature box for each client contact and person in your organization, and each will be colour-coded for easy reference. 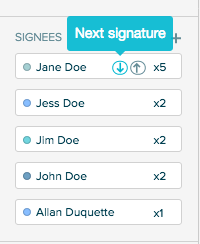 You can also add multiple signature or initial boxes for one person, if you need them to acknowledge multiple areas within a single contract. 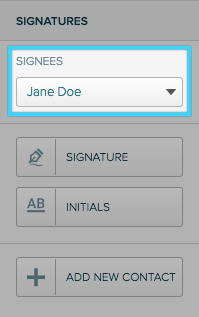 This will add that person to the client contacts list in Proposify, allowing you to include a signature box within the proposal. 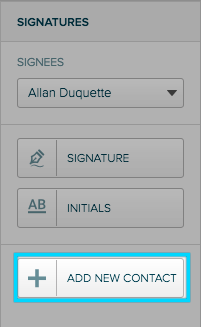 Having difficulties adding signatures? Have another question? We're here to help in support. Click here to reach out!